You can now perform a Florida inmate search using the Florida corrections database which has over 100,000 inmates housed in approximately 60 Florida correctional facilities. Below I will provide links to Florida arrest records and county jail links for many Florida counties. Are you trying to locate a federal prisoner housed in a federal prison in Florida? This will not be the correct page. Click this link to go to the Federal Inmate Search Page. 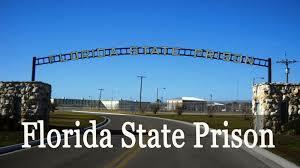 Are you trying to locate a Florida inmate in the Florida Dept of Corrections? Click here to go to the Florida Inmate Search page. but are not reporting in to their parole officers. TThe Florida Department of Corrections website has a wealth of information. You can read the rules for visiting, how to send money to Florida inmates and much more. Click here and I will guide you to some important pages found on the Florida DOC website.